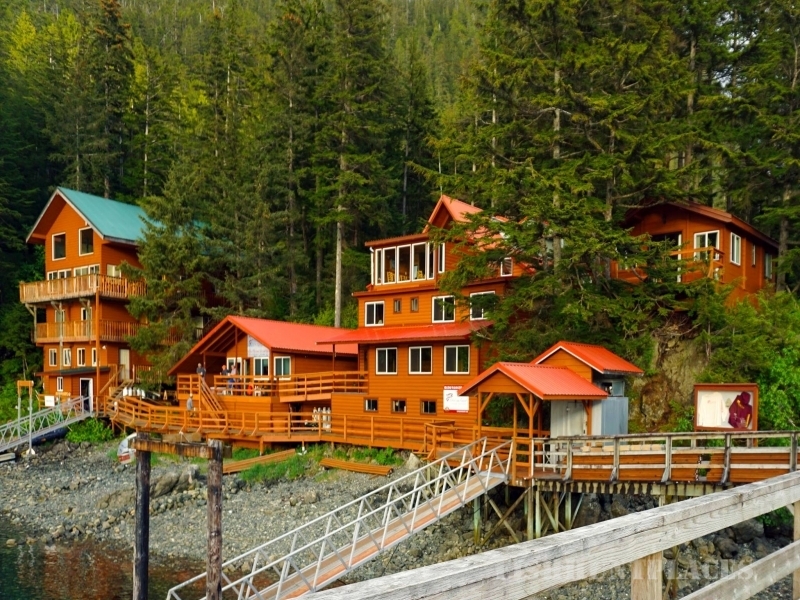 Southeast Alaska is an angler’s paradise come true! When compared to other fisheries around the world, you could say it is incomparable in diversity and abundance. Unlike warm water fisheries, the fish you catch here are all table-fish you take home and enjoy with family and friends. You’ll also enjoy watching our skilled crew do an excellent job cleaning, packaging, freezing and boxing your prized catch for the trip home! Our area sports huge Pacific halibut ranging from 20 lbs to over 300 lb monsters, year round; beautiful King Salmon ranging from 20 lbs to over 60 lbs are available year round with optimal fishing conditions from early May to late June; acrobatic Coho Salmon populate our fertile waters in great abundance from late June through September and average in the 8 to 12 lb range; other salmon caught in our area include Chum (dogs), Pink (humpies) and Reds (sockeye). 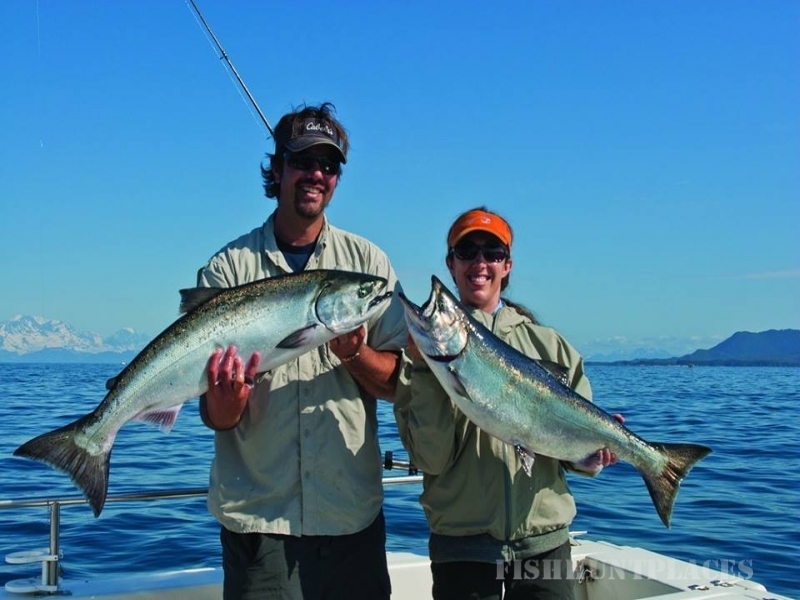 Chum salmon range from 8 to 20 lbs; Pink salmon range from 4 to 6 lbs; and Reds range from 5 to 8 lbs. Rounding out our area’s selection of sport fish are a colorful collection of Rockfish, Irish Lords, Red Snapper, Yelloweye, Black sea bass. Lingcod ranging from 8 to 20 lbs. In our streams you will find trout, dolly varden and an occasional salmon migrating upstream to their breeding grounds. The areas we target are within short traveling distance from the Resort. We don’t spend a lot of time traveling unless fishing is particularly good on the open ocean and our guests want to rock and roll on the rolling Pacific for awhile hunting coho or king salmon. We fish the protected inlets, fjords and bays around the immediate area. When it comes down to it, it really depends on what interests you. At the end of the day, a few diehard anglers might spend time fishing off our docks for whatever the fish-of-the-day is – normally ‘dollies’; but the average vacationer to Elfin Cove Resort is ready for some rest and relaxation towards quitting time, and there are always tasty hors d’ouvres and a hot meal waiting for their return.